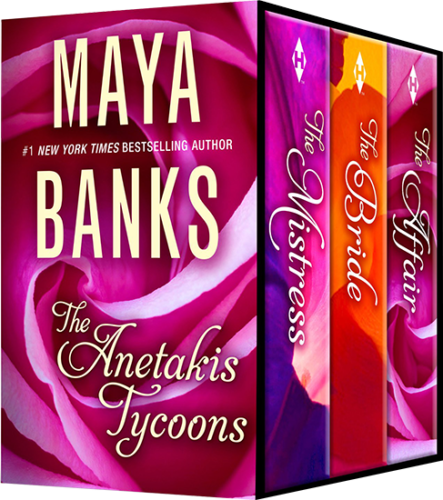 The Mistress was originally published as The Tycoon’s Pregnant Mistress. Isabella Caplan is all grown-up—and she’s set her sights on hot-blooded hotel tycoon Theron Anetakis. But as executor of her father’s estate, he’s arranging a marriage for her to another man! What will it take to get Theron to see her as his future bride, instead? 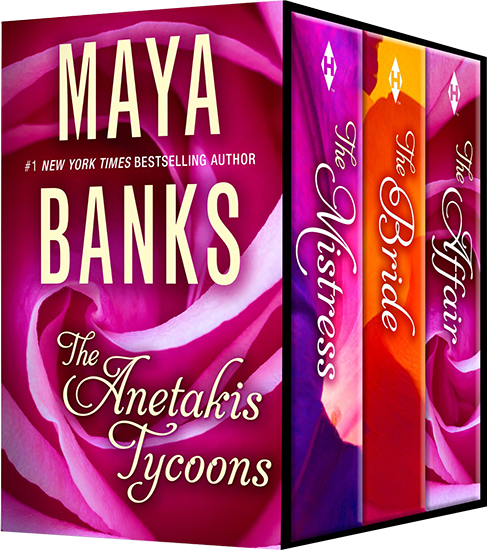 The Bride was originally published as The Tycoon’s Rebel Bride. A one-night stand comes back to haunt Jewel Henley when she arrives for her first day of work and realizes her vacation lover was actually Piers Anetakis, her new boss! Now Jewel is out of a job…and pregnant. But when Piers learns of her predicament, he’s ready to reclaim her…for keeps. The Affair was originally published as The Tycoon’s Secret Affair.